And so it begins. I’m talking about how The Young and the Restless is already beginning to lay the ground work to bring back the character of Adam Newman. In his last scene he was portrayed by Michael Muhney and kinda sorta thought to be maybe dead, which is soaps means that Adam will indeed turn up alive and well. He was also mentioned on the Friday, Feb 28th show. Once a character mouthed the words, “Is that you Adam?” the writing was totally on the wall. Jill Farren Phelps isn’t about to let her head writers reference a character that she wants you to forget about. Adam’s return is in the near future, but who will play the role? When Muhney was fired he was all but told that the character that he portrayed for nearly five years was about to be recast so to see Y&R go through with that can’t really surprise anyone. The fans were very vocal about wanting Muhney to stay put and after he was fired they at first campaigned to try and convince Jill to bring him back. Obviously that was never going to happen but will a recast be accepted? David Tom recently stepped into the role of Billy Abbott trying to do what Billy Miller did so well and the result so far has been disastrous. In spite of him playing the character ten years ago he has not been welcomed back with open arms. Instead there has been huge backlash and if Adam isn’t perfectly recast (and even if he is) the result will likely be the same. Is there any actor that you wouldn’t mind taking over the role? Tell us your thoughts in the comments below! The Young and the Restless: Grief Stricken Chloe Mitchell Acting Crazy: Will She Hurt Chelsea to Get Her Son Connor? The Young and the Restless: Jill Farren Phelps Using Billy With Kelly Storyline To Hide David Tom’s Horrible Acting? 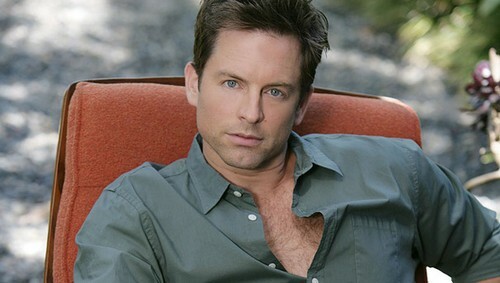 The Young and the Restless Recasting Adam Newman: Is Michael Muhney Replaceable?